Creativity, Inc. is a book for managers who want to lead their employees to new heights, a manual for anyone who strives for originality, and the first-ever, all-access trip into the nerve center of Pixar Animation - into the meetings, postmortems, and "Braintrust" sessions where some of the most successful films in history are made. 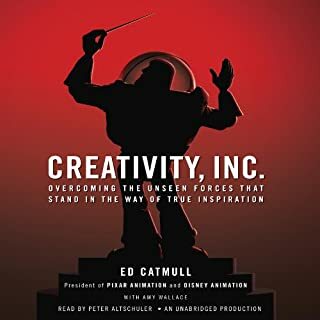 It is, at heart, a book about how to build a creative culture - but it is also, as Pixar co-founder and president Ed Catmull writes, "an expression of the ideas that I believe make the best in us possible." Can't recommend this book enough. 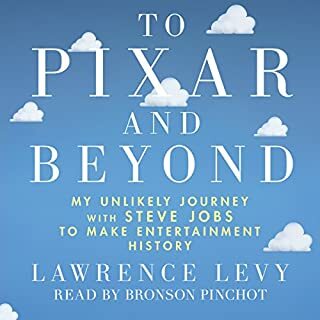 I read this following "To Pixar and Beyond" and it was a fabulous complement to that version of the Pixar inception story. Ed Catmull is a masterful storyteller - both in film and in the written word. 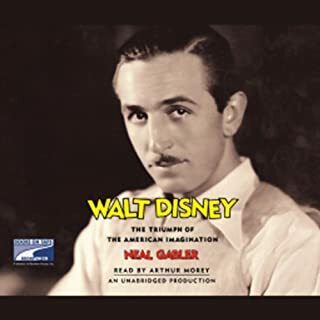 Seven years in the making and meticulously researched - Gabler is the first writer to be given complete access to the Disney archives - this is the full story of a man whose work left an ineradicable brand on our culture but whose life has largely been enshrouded in myth. This was a long, but enjoyably thorough, chronological narrative documenting Disney's life. I'm a big Disney fan and I enjoyed hearing the details of his childhood through his rise as an American icon. It is a long book though, so unless you're an 'extreme fan,' you may burn out on the story. The Narrator wasn't bad either, but I did find his voice a bit unnerving at times, but I can't explain why. Overall, it was a great read. I loved this book and wish it kept going. Lawrence is a phenomenal story teller that inspired me in business, creativity and personel development.